Matchday: Can West Ham deny a swaggering Spurs? Wouldn’t it be nice to get one over on your neighbours? Will West Ham raise their game and electrify the London Stadium? 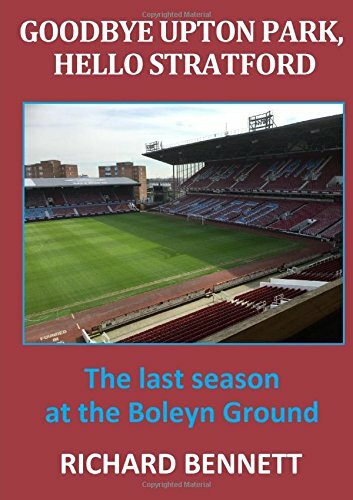 When Tottenham visited Upton Park (lovingly described in one national newspaper report at the time as a clanky old corrugated arena) in early March last season, a victory would have sent them to the top of the Premier League on goal difference. In the event, an early Michail Antonio goal topped an energetic and exuberant West Ham display to earn the Hammers all three points and instigate a Tottenham wobble than ended with them finishing third in what was essentially a two horse race. Roll forward six months and by the time West Ham visited White Hart Lane, in November of this season, they were a team transformed by dreadful summer recruitment and a disinterested French playmaker. Spurs were unbeaten at home (and, of course, remain so) but were without a win for seven games. In a match that Tottenham dominated territorially, it was West Ham who rose to the occasion and held an unlikely lead with mere minutes of the game remaining; but then what has become characteristically suicidal substitutions resulted in, not just the tame surrender of two points, but the loss of all three. It is a derby, whether you need the points or not, it’s a derby game against Spurs at our stadium. They need points, we need points, so it is massive game for us and a massive game for them. We will try to get the points that will mathematically secure our status. The gulf between the two teams is now so great that only the very brave and the deluded are predicting a West Ham victory. The challenge is not helped by a long list of injuries but damage limitation, rather than famous victory, seems to be the order of the day. Perhaps an unexpected planetary alignment can inspire the uninspired, energise the weak and bring order where there has only been chaos. A victory tonight, which would confirm rather than derail Tottenham’s doomed title bid, would require a performance to match the ‘obscene effort’ of 1992 so fondly remembered by Sir Alex Ferguson. West Ham have played more league games against the snooty north London neighbours than against any other team. Maybe others would deem the rivalry against the noisy ones from over the river to be the more heated but this one comes around far more frequently. In 127 previous meetings against Tottenham, West Ham have won 43 and lost 53. On home turf the Hammers hold the advantage with 28 wins and 20 defeats from 63 attempts. The last 12 league meetings have seen 4 West Ham wins, 6 Tottenham wins and 2 drawn matches. Diafra Sakho has decided to join Pedro Obiang, Angelo Ogbonna and Antonio on the out for the season rota. I imagine that Sakho is one that we will not see in claret and blue again, while his long time injury room partner, Andy Carroll, faces a late fitness test along with burgeoning cult hero Arthur Masuaku. There is often a great deal of anger about players who are constantly injured but I doubt that any footballer, and we have had our fair share of sicknotes, really wants to regularly spend time sitting out matches during their relatively short careers. Team selection will be the usual Slaven lottery but with even fewer balls to select from than usual. I am hoping that the Betamax machine in the Rush Green tactical war room has been working correctly and that the coaching staff have noticed that; Spurs attack with pace down the flanks through their full/ wing backs; that Kane and Alli are pretty lethal in front of goal; and that Erikson will have a field day if allowed too much space in midfield. In these circumstances I believe that the Reid/ Fonte/ Collins combo should remain in force supported by Masuaku (or Cresswell) and Byram (until he gets booked) out wide and with Kouyate and Nordtveit in central midfield. Fingers crossed that Carroll can put in an appearance and that Calleri, Feghouli and Snodgrass are well away from the action. Of course it is a great opportunity to close the gap but we are playing another derby against West Ham and it will be very tough. The pressure is on us to win. Tottenham appear far more resilient, injury wise, than West Ham but are without Danny Rose and long term absentee Eric Lamela. The absence of Rose is a tiny bonus as stand-in Davies is not the same quality but other than that the visitors are at full strength. It would be gratifying not to have to witness too many of the pre-teen choreographed goal hand celebrations this evening but I wouldn’t bet on it. The appointment of Anthony Taylor as tonight’s referee was described as diabolical news on one new source on the basis that West Ham had lost all three games where he has been in charge this season (Chelsea (a), Everton (a) and Leicester (a)). Apart from failing to dismiss Diego Costa in the season opener I suggest that the defeats were due more to our own shortcomings than refereeing influence. Taylor has officiated in 37 games in all competitions this season and issued an arm-wearying 144 yellow cards, but just the 4 reds.